I have good news, bad news, and great news. First, the Good News. 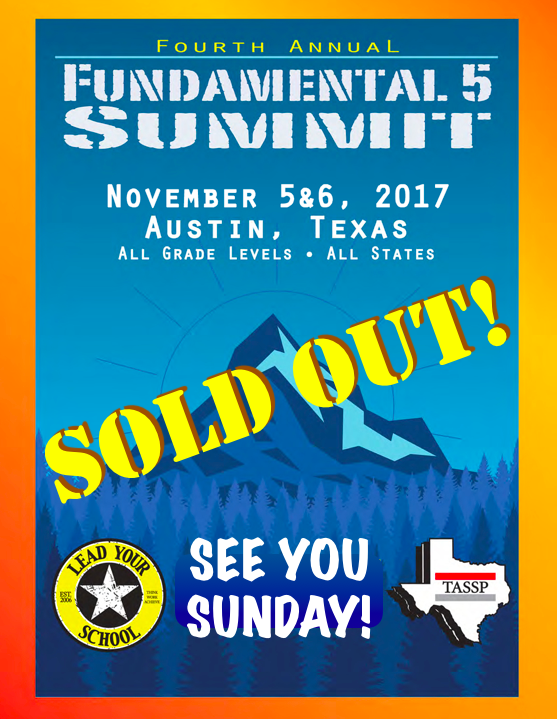 If you are registered for The Fundamental 5 National Summit on November 5th and 6th you are going to get to network with over 450 aggressive and progressive educators from across the country who put student success above everything else! 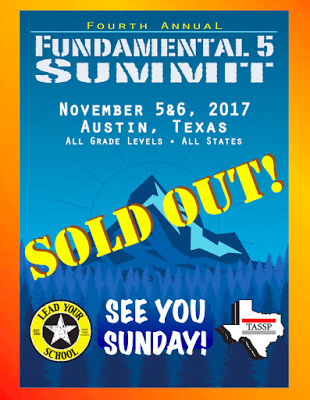 Now, the bad news, if you are NOT registered for The Fundamental 5 National Summit, it is now officially too late. Registration was closed yesterday (Monday) afternoon. Further proof that procrastination is not a practice of success. This is going to be the best Summit ever! See you Sunday! !